On our Growth and Enterprise plans, you'll get compiled results from Mixmax Polls, Q&A Surveys, and Yes/No questionnaires automatically in Google Drive! Mixmax will automatically add the poll or survey results to a spreadsheet in Google Drive for easy review. To enable this feature, first make sure Google Drive is connected with Mixmax (click here or go to your Mixmax dashboard > Settings > Integrations > Google Drive). 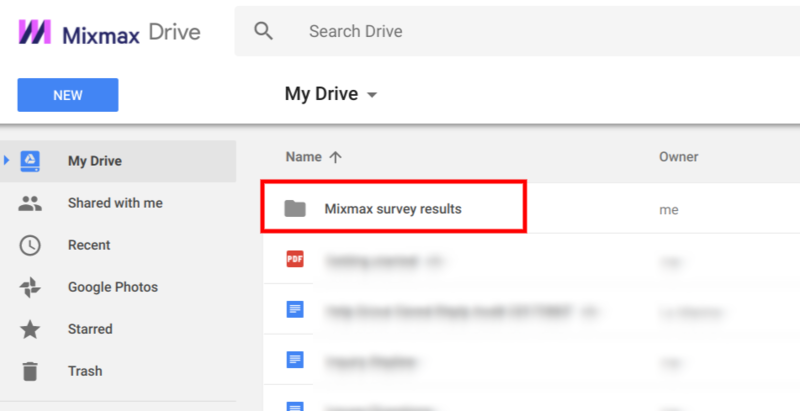 Once you've connected your Google Drive, and you've sent out a poll, Mixmax will create a folder in Google Drive named Mixmax survey results. Every time you send out a poll, survey, or yes/no questionnaire (after Google Drive is connected), a new spreadsheet will be added to the folder with the results of that poll or survey. As additional results come in, the spreadsheet will be updated automatically in real time. Note that results from polls/surveys/questionnaires sent before connecting Google Drive with Mixmax will not appear in the folder. 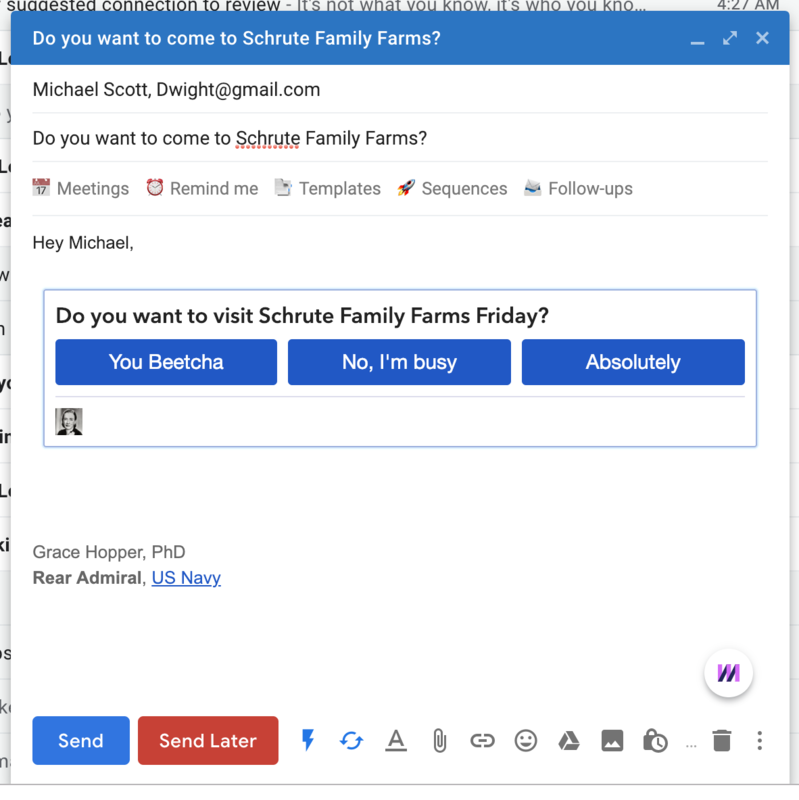 Additionally, you can always check your poll results in Gmail: each time your recipients respond to a poll, yes/no question, or Q&A survey, you'll receive a separate email with each recipient's answer. You can also get polls results from our API. It's important to note that if you save your poll/survey/questionnaire in a Mixmax Template and then send the poll out in the future, the results will all go to the same spreadsheet that has already been created. For the results to go to a new spreadsheet, you must create a new poll. For an overview of how Mixmax polls work, check out our Polls Overview support article.